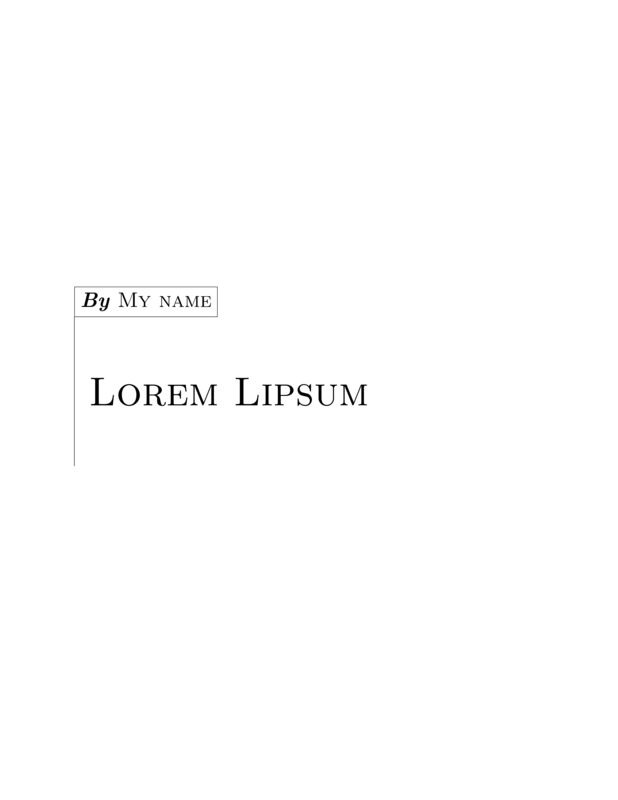 I have created a custom title page format within the titlepage environment. I'd like to put that in a class or package, and be able to use that format in every document by simply specifying the \title and \author and calling the \maketitle command at the beginning of the document. How could I do it? Not the answer you're looking for? Browse other questions tagged titles or ask your own question. How to customize my titlepage? How to add components to \maketitle? How to create two different title pages with the \maketitle command?